Shingles is a disease caused by the varicella-zoster virus - the same virus that causes chickenpox. After you have chickenpox, the virus stays in your body. It may not cause problems for many years. As you get older, the virus may reappear as shingles. Although it is most common in people over age 50, anyone who has had chickenpox is at risk. 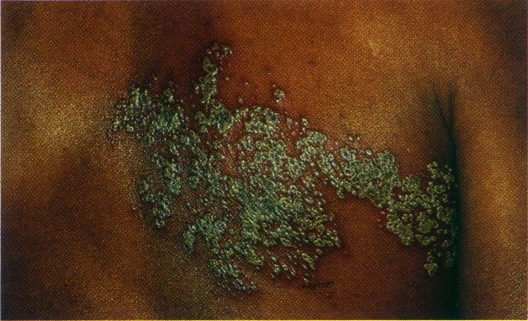 Unlike chickenpox, you can't catch shingles from someone who has it. Early signs of shingles include burning or shooting pain and tingling or itching, usually on one side of the body or face. The pain can be mild to severe. Rashes or blisters appear anywhere from one to 14 days later. If shingles appears on your face, it may affect your vision or hearing. The pain of shingles may last for weeks, months, or even years after the blisters have healed. There is no cure for shingles. Early treatment with medicines that fight the virus may help. These medicines may also help prevent lingering pain. 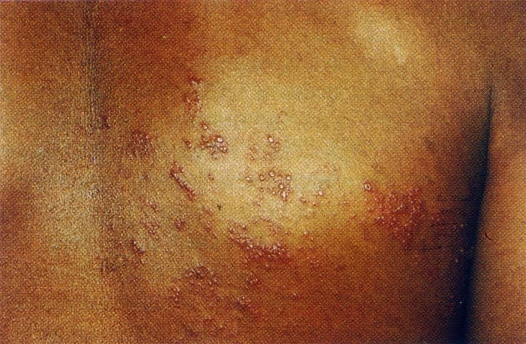 A vaccine may prevent shingles or lessen its effects. The vaccine is recommended for people 60 or over. In some cases doctors may give it to people ages 50 to 59. Definition (NCI) A common dermal and neurologic disorder caused by reactivation of the varicella-zoster virus that has remained dormant within dorsal root ganglia, often for decades, after the patient's initial exposure to the virus in the form of varicella (chickenpox). It is characterized by severe neuralgic pain along the distribution of the affected nerve and crops of clustered vesicles over the area. Definition (CSP) acute infectious, usually self-limited, disease believed to represent activation of latent varicella zoster virus in those who have been rendered partially immune after a previous attack of chickenpox; it involves the sensory ganglia and their areas of innervation and is characterized by severe neuralgic pain along the distribution of the affected nerve and crops of clustered vesicles over the area. Definition (MSH) HERPES ZOSTER but without eruption of vesicles. Patients exhibit the characteristic pain minus the skin rash, sometimes making diagnosis difficult. This page was written by Scott Moses, MD, last revised on 11/15/2017 and last published on 4/6/2019 .